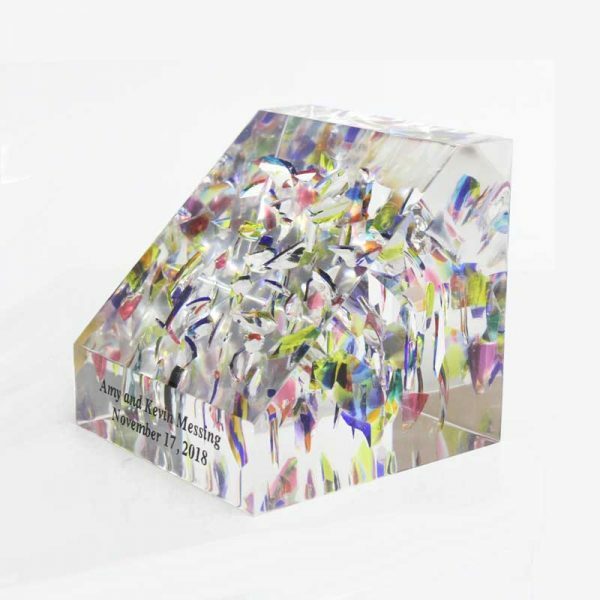 The Slanted Wedding Glass Cube, makes a unique, one-of-a-kind keepsake and instant heirloom for the bride and groom, one to be treasured all their lives as a memory of their special day. 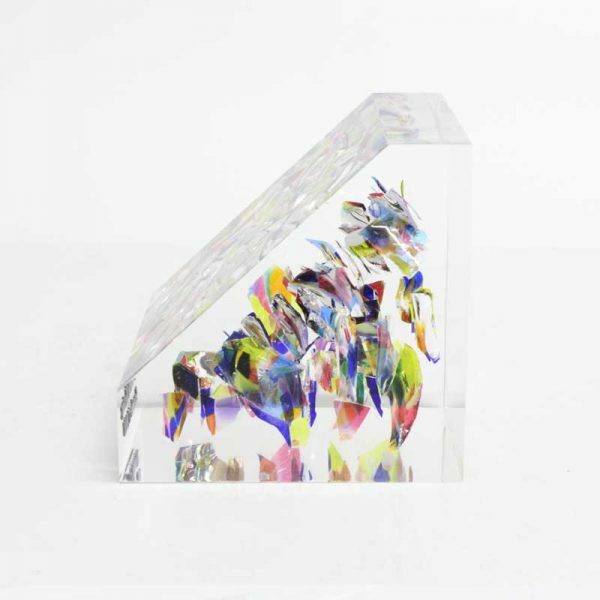 We endeavor to reconstruct whatever glass you submit to us so that it appears to be broken and frozen in time in the Lucite Cube. The small block is 4″ x 4″ x 4″ (10cm x 10cm x 10cm). Simply send us your wedding glass or light bulb, and we will embed it in crystal clear Lucite forever. Up to 4 lines of engraving are included, however most people engrave the couple’s first names and wedding date. 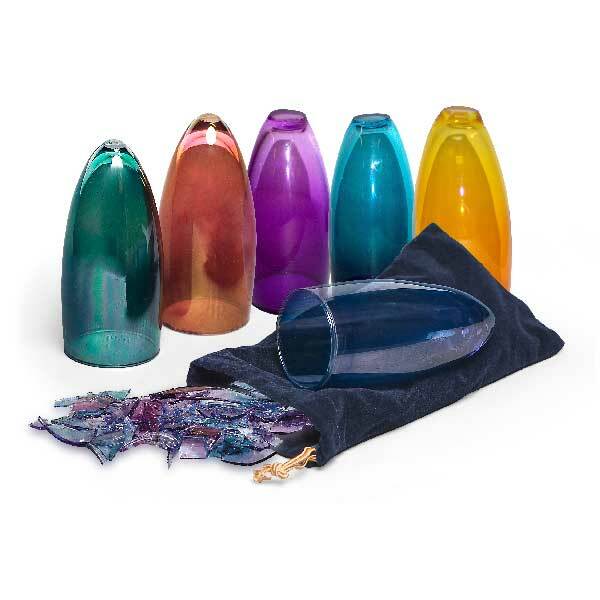 We recommend you use a colored glass, however a standard clear glass looks equally attractive. PLEASE NOTE: the slanted cube is ONLY available in Random design. 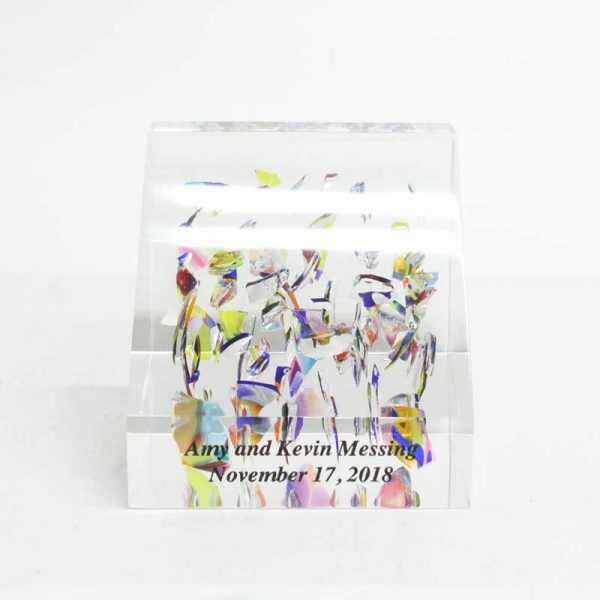 The Square Wedding Glass Slanted Cube, makes a beautiful, one-of-a-kind keepsake and instant heirloom for the bride and groom, one to be treasured all their lives as a memory of their special day.